I'm trying to distract myself from the stupidity of our health insurance. 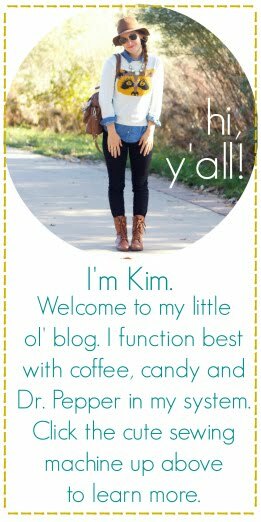 ergo, things (on etsy) that make me laugh. 1. 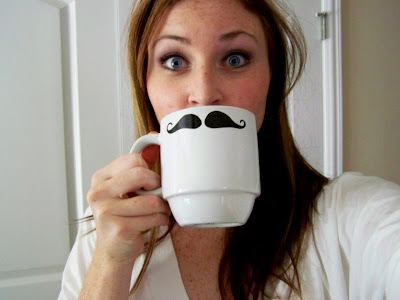 Mustache Mugs. So funny...and I want one...or three. This one is found in The Peacock Shop, but they also carry them at Urban and other etsy shops. She also has some other rockin' mugs in there as well. Did I just say "rockin'?" bugh. 2. 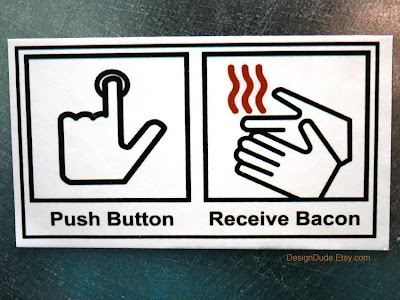 "Push Button Receive Bacon." hilarious. This magnet can be found in Design Dude's Shop. 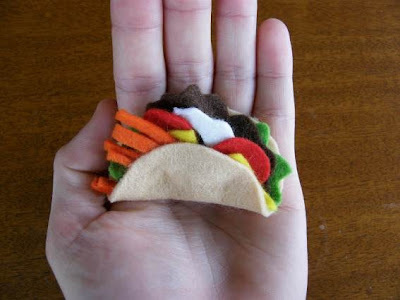 3. taco brooch. if i went to taco bell for a 4th meal and the person at the drive thru window was wearing this...i would tip them.. or at least walk in and hug them. i'm not sure you can even tip at taco b, but i would definitely try. found in burger's and fries' shop. 4. 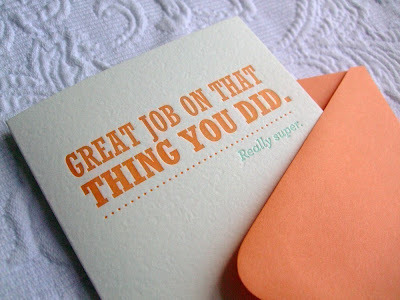 Sarcastic, yet "heartfelt" cards. You can get this one in this cute shop.